Does your child love American Girl dolls? You no longer have to make the trek to Chicago or Philadelphia to give them the premier experience that American Girl offers. Columbus&apos; very own American Girl Store is open at Easton. American Girl in Easton is more than just a store - it’s a place for your child&apos;s imagination to soar. Shop for dolls from varied eras of American history and then enjoy a wonderful meal together in the store&apos;s bistro. Your kids will love treating their dolls to a new look at the Doll Hair Salon and can even design a shirt for the doll at Creativi-Tees.With help of a complimentary personal shopper, your visit is sure to be one your family will never forget! When you visit, keep the planning simple and take time to create memories with your kids! 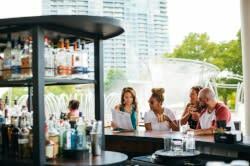 The Hilton Columbus at Easton has launched the American Girl Store Package, featuring a special American Girl Doll bed, access to the hotel’s American Girl Library and an easy walk to the new American Girl Store, which is a five-minute walk from the hotel. 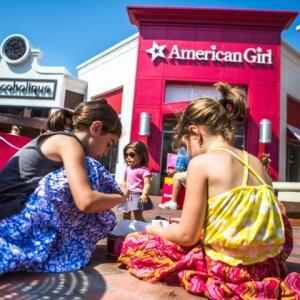 The package invites American Girl Doll fans to shop, explore and create memories, while being enjoying Easton Town Center’s fashion scene, on-site movie theatre, wide array of dining options and more. You can book your American Girl Store package online or by calling 1-800-HILTONS.